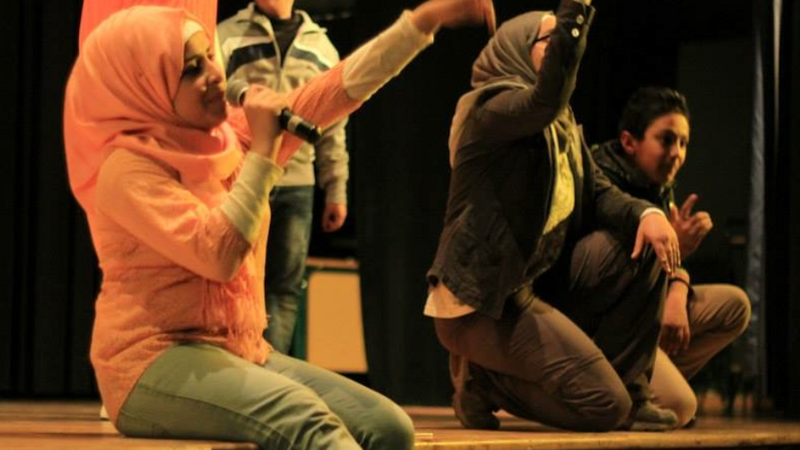 HAYATUNA chronicles the work of Swedish NGO Spiritus Mundi and a team of local artists as they bring music, dance, and theater into the lives of a group of orphaned, refugee, and disabled youth. 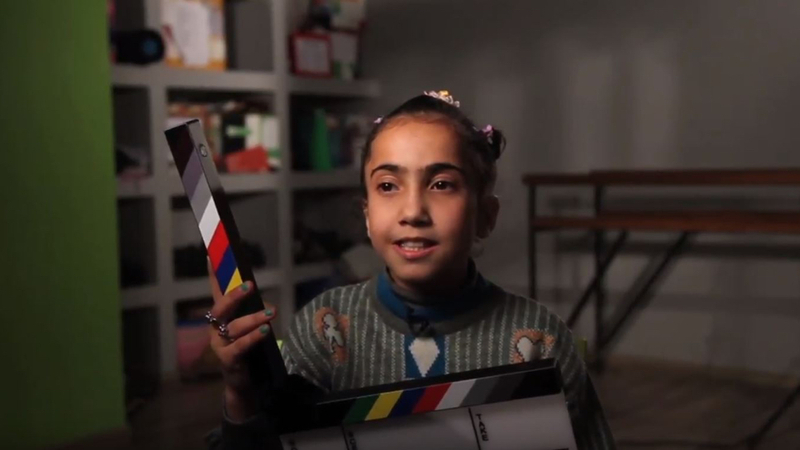 Montclair State University Professor David Sanders and journalist Steve McCarthy traveled with a group of filmmaking students to Amman, Jordan, several times over a period of two years to document the process these children underwent to present a show that expresses their feelings and struggles. Montclair Film Festival was pleased to talk to directors/producers David Sanders and Stephen McCarthy about their enlightening film. How do you describe HAYATUNA in your own words? David: For me it is a film about the power of the arts in helping young people understand and discover who they are, connect with people, and find their voice in the world. The word hayatuna in Arabic refers to the eternal part of ourselves — the part of us that is always alive — and the arts are the greatest tool we have to access that. You are both listed as the directors/producers of the film. What made you want to tell this particular story? How did you two meet and form your partnership? David: I have always felt that we undervalue the arts in this country and the role they have in child development, education, and creating cohesion in society. Arts programs in schools are among the first things to be cut when budgets are tight or standardized test scores are low. This happens disproportionately to the children in our most vulnerable and disenfranchised communities — the very ones who need it the most. This film illustrates how important access to the arts are for young people to be able to express themselves in constructive ways, and how we are robbing our children of important tools for life if we don’t expose them to the arts in meaningful ways. Steve: David and I met when I began teaching at Montclair State in 2011. During Spring Break 2012 we took four students to Tunisia for a reporting trip one year after the Arab Spring. The students produced video stories about the role of social media, arts and educational institutions in the revolution. They were presented on a web special on the Arab Spring. Since then we’ve been taking students on the road. You had student filmmakers get involved with the making of this film. Can you explain how the students were selected and describe how they were involved? David: This documentary was taken on as a learning opportunity for our students. Students were invited to participate based on their level of skill, commitment, and interest. They were involved with all aspects of the production: planning, shooting, transcribing, scripting, and editing. To make this film, you had to travel. Where did you go? How many times did you go? How did you make your connections with the youths and the Spiritus Mundi people? David: We traveled to Amman, Jordan, several times over a two-year period with different groups of students. We made a quick stop in Malmo, Sweden, where the headquarters of Spiritus Mundi or “Spirit of the World” is located. Spiritus Mundi is the organization that designed and implemented the creative expression program for the group of refugee, disabled and orphaned children whom we were documenting. I became familiar with their work through my association with the International Music Council in Paris. David: I hope they will become advocates for the kind of well-rounded education that I believe we need in this country: an education that includes music and the arts as a core subject. Steve: This project was important for all involved. It shows the good work of the Swedish NGO Spiritus Mundi and the Jordanian pedagogues they worked with. It also helped the young subjects of the film by making them feel they merited the attention of a film crew from the United States. And finally, it truly expanded the worldview of our student filmmakers. These young people were in the 6th grade when 9/11 occurred. In much of American media, Arabs were portrayed in a negative light. By going to Jordan and working with the pedagogues and the young subjects, they realized that these people are just like us. They want the same thing for their families and for themselves. It was an amazing thing to see. What is your professional status at Montclair State University? What does it mean to you and your university to have this film be part of MFF18? David: I have been teaching at Montclair State University for the past 21 years. Steve joined us on staff seven years ago after a journalism career producing for network television, and we have been bringing students on international production trips to places like Tunisia, Africa, Jordan, and Greece ever since. We are thrilled to have the film in the MFF at a time when the School of Communication and Media has just opened up its new world-class facility on campus, and we are trying to institutionalize these types of trips for students. Funding is always a problem for our undergrads, and we are hoping to attract some potential donors who see the value in supporting these kind of opportunities for our aspiring young journalists and media professionals. Steve: I’m thrilled to be back at the MFF. In 2015 I co-produced THE ONE THAT GOT AWAY, about teacher Dan Gill and his student Tourrie Moses. David and I were also involved in the new trailer for MFF, “Let’s Go To The Movies.” The relationship between the School of Communication and Media and MFF continues to grow. It’s a great partnership. Will you be attending both showings of the film at MFF18? Will you be answering audience questions? David: We will be at both showings with several of the students who produced the film with us. We look forward to talking about the project and how world-expanding the experience was for all of us. For more information about HAYATUNA visit the film’s website.